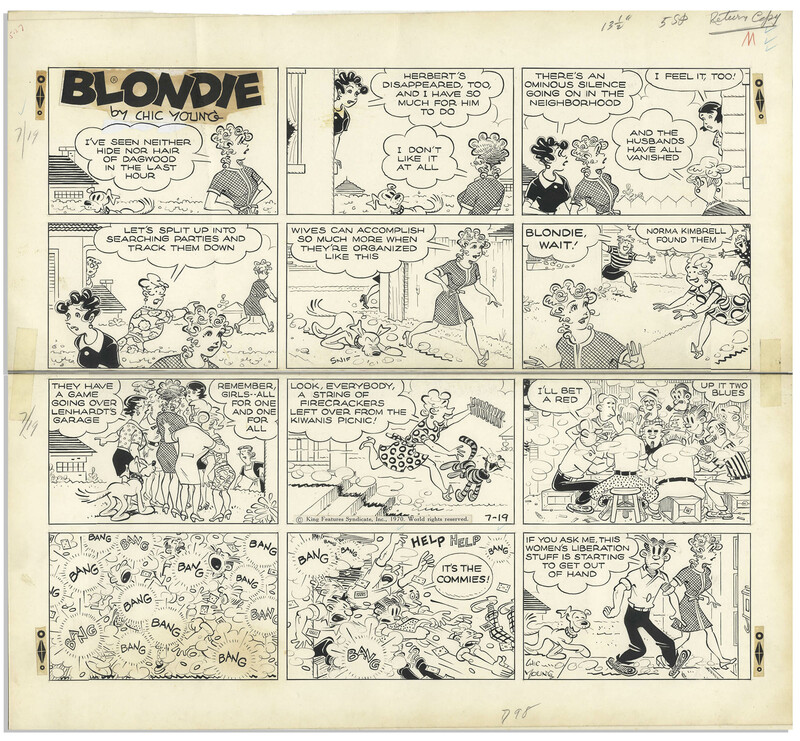 ''Blondie'' Sunday comic strip hand-drawn and signed by Chic Young published on 19 July 1970. 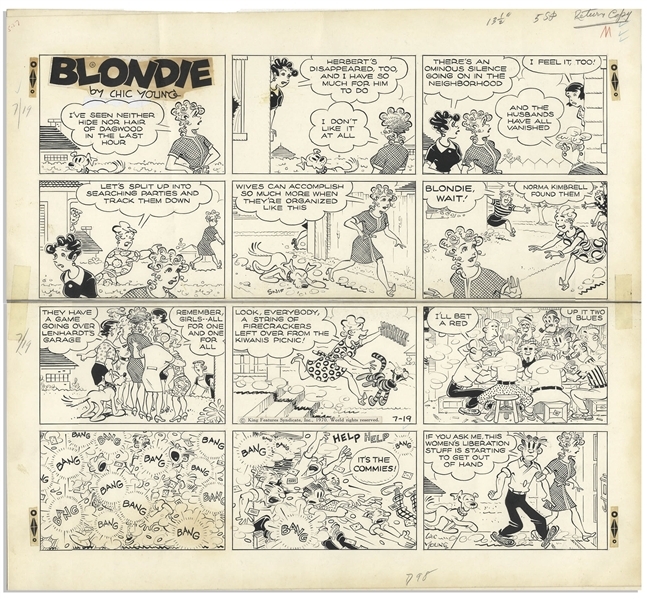 In this cute 12-panel strip Blondie and the neighborhood ladies gang up to upset the boys' poker game, with Dagwood lamenting the women's lib movement in the final panel. 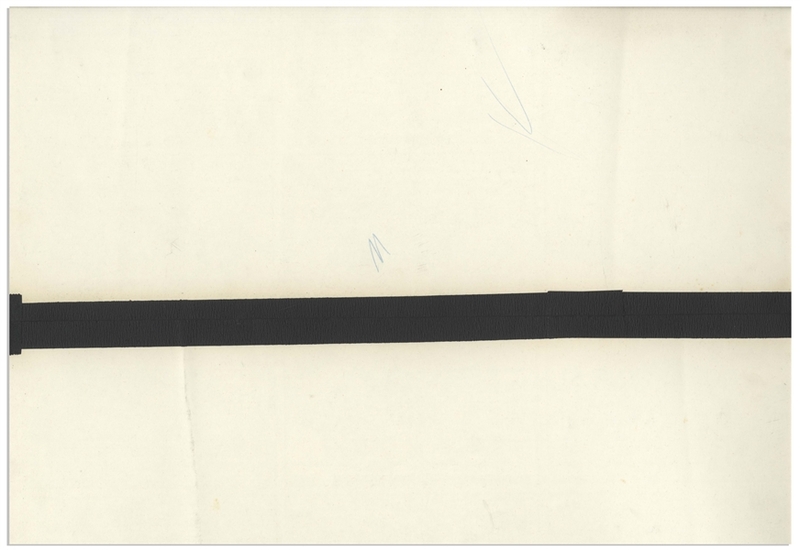 Strip measures 19'' x 17.5'', with tape on verso adjoining the top and bottom halves. Very good plus condition. From the Chic Young estate.